Oral hygiene is the foundation of good dental health. Brushing and flossing regularly is the best way to keep your Shelby smile healthy and clean. Consider this your personal tutorial on the art of dental hygiene, instructed by Dr. Miller and the expert hygienists at Discovery Dental. If you have any questions or would like to test your skills in person, feel free to give us a call! Before we get to talking technique, we need to make sure you have the right tools for the job. You’re going to need a toothbrush, fluoride toothpaste, and floss. Pick whatever floss is most comfortable for you and any toothpaste that you like, provided it has fluoride. Mouthwash is not required, but some Shelby folks really like the extra oral health boost you get from a good swish and gargle. Dr. Miller reminds us to floss before brushing. That way you can ensure that the particles and bacteria unearthed during flossing will be removed during the expert brushing session that follows. Make sure to floss at least once a day. It’s that time. We’ve talked toothbrushes, floss, and toothpaste, so now it’s time to teach the fine folks of Shelby how to brush like a dentist. Here we go! 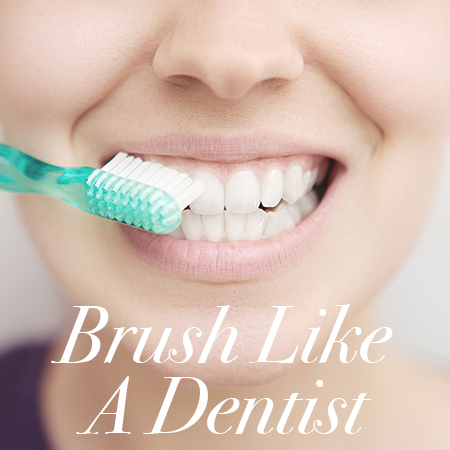 Brush at least twice a day. The best times are right after breakfast and right before bed. Don’t overdo it on the toothpaste. You only need a pea-sized dollop. Any more than that will make your mouth unpleasantly foamy and increase your chances of swallowing fluoride, which not good for your health. Brush for at least two minutes. The most common mistake is not brushing long enough. Using a stop watch, hourglass, or a just humming a song can help you stay on track. If you have questions about any of this information or would like to come in for a professional cleaning, give us a call at Discovery Dental today!